She plays a widowed social worker raising two young children in 1970s Los Angeles who’s haunted by a female ghost known as the Weeping Woman. 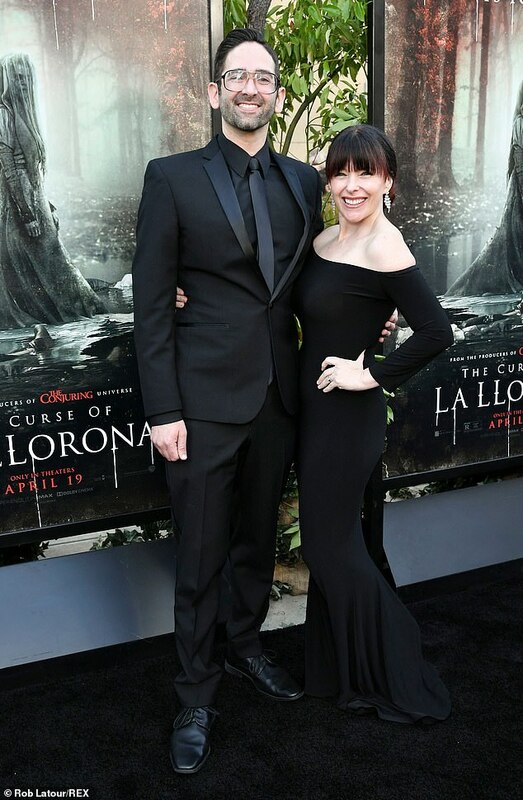 And on Monday night, Linda Cardellini put on a stunning show as she headlined the Hollywood premiere for horror movie The Curse of La Llorona. The actress, 43, flaunted her cleavage in a very low-cut monochrome sleeveless dress. The patterned dress had a corset-style bodice and a skirt that fell to the actress’s ankles. She paired it with pointed toe navy heels. The former ER and Bloodline star wore her hair in an updo with a long tendril left loose at the front to soften the look and frame her face. She accessorized with long diamond earrings and was accompanied to the screening by her longtime partner Steve Rodriguez. The couple share a seven-year-old daughter Lilah-Rose. Starring with Cardellini are Patricia Velasquez, Marisol Ramirez and Raymond Cruz. Also at the premiere were child actors Jaynee Lynn Kinchen and Roman Christou who play Cardellini’s kids in the film. The Curse of La Llorona, directed by Michael Chaves, opens in theatres on April 19.